If you have several days to a week to explore France before embarking on a cruise on the Canal du Midi in the South of France, one of the highlights of the region are the caves of Dordogne, to the west of the Canal du Midi. Many of these caves contain pre-historic cave paintings and are fascinating. We've visited Lascaux II, in Montignac, which is a reproduction of the original neighboring Lascaux cave with its extensive cave paintings. The original Lascaux cave is not open to the public, not only to protect it, but also because they are attempting to resolve serious problems with moisture in the cave which threatens the integrity of the cave paintings. Lascaux II itself is still worth a visit, as it provides a good deal of background and education on cave paintings, cave exploration, and the challenges of preserving cave paintings for future generations. The story of how the reproduction was made is, in itself, a fascinating story, and one of the interesting components of the visit to Lascaux II. 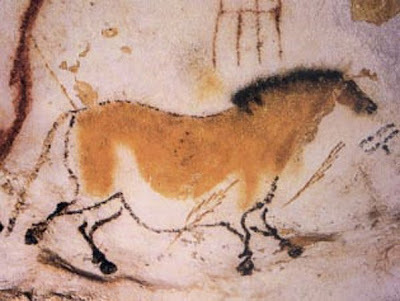 (For more information about Lascaux, see http://en.wikipedia.org/wiki/Lascaux). Other caves in this region where you are seeing "the real thing" do require reservations and the number of visitors per day is usually tightly controlled, to reduce the potentially damaging effects of visitors to the caves. Flash photography is strictly forbidden in all caves. Cave paintings are usually illuminated with low-level tungsten light, which allows reasonable viewing of the paintings to the eye. If a cave allows photography at all (some do not), probably the best way to capture it without flash is to use a smart phone with the flash turned off. We suggest going to the websites of each cave you'd like to visit to make reservations, or telephoning the contact directly to determine the best way to ensure a visit while you are in the area. Watch especially the operating times, as your best chance is to visit the most desirable caves is to arrive before opening time, and be the first ones in the public visit that day. Driving through the hilly Dordogne region is quite a treat, but also keep in mind that the small roads through the hilly terrain do make driving time from one location to another longer than you might expect. Still, the whole region has quite a lot of charm, and the cave visits are the icing on the cake! Then, after your drive through Dordogne, enjoy another lifetime memory -- a cruise aboard a barge on the Canal du Midi! Contact us for more information.